Hello! 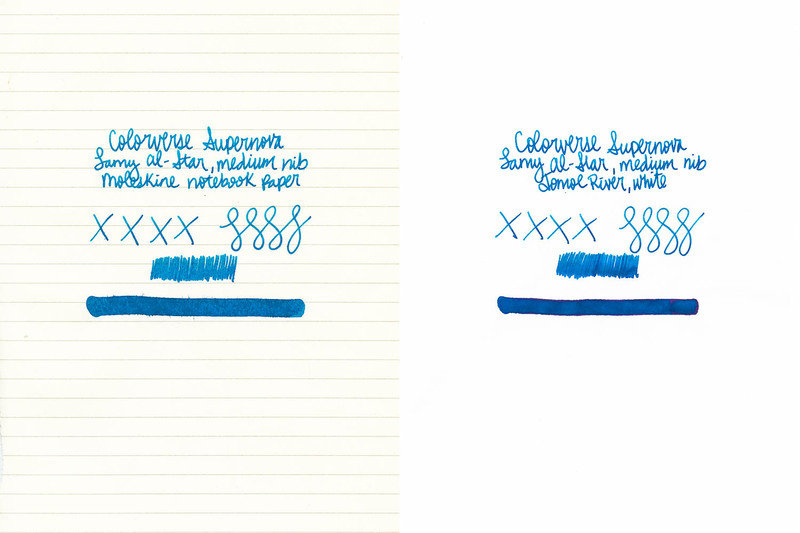 This week I got to take a closer look at another one of the new Colorverse inks. 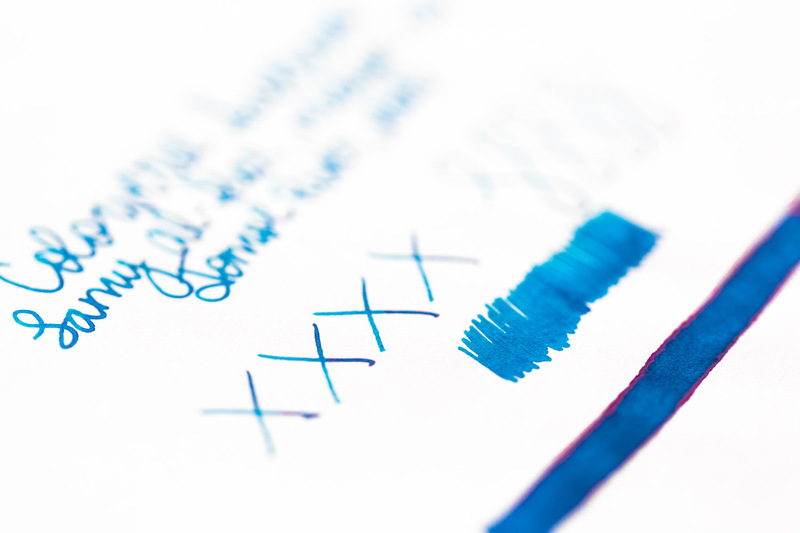 I love blue inks, and Supernova didn’t disappoint! 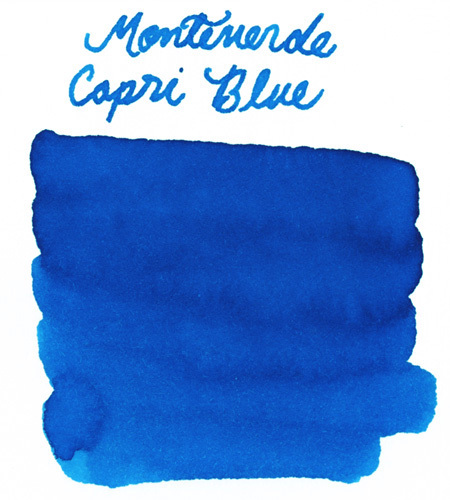 It’s a nice cheery cerulean blue that I think anyone would enjoy. Read on to see why! 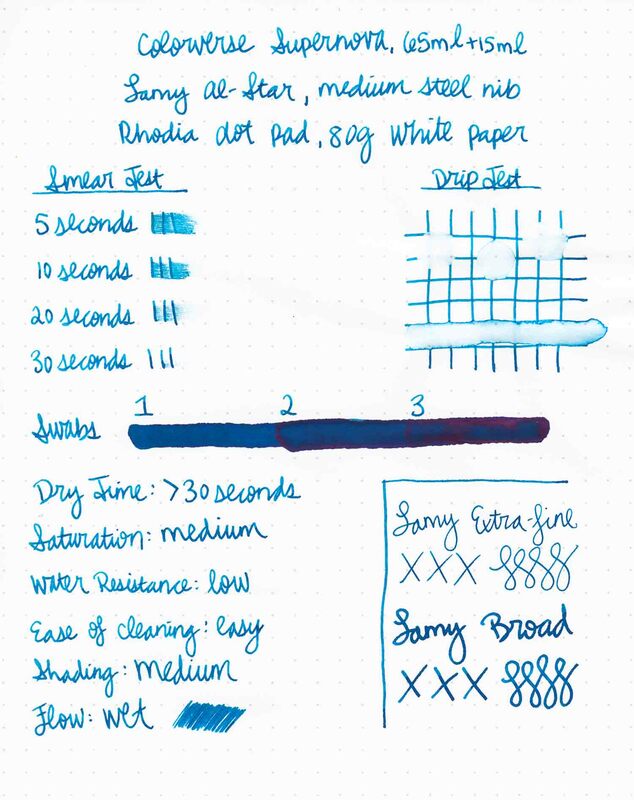 More than 30 seconds– The ink smeared just a tiny bit at 30 seconds, so I feel pretty confident it would have been dry at around 35 seconds. 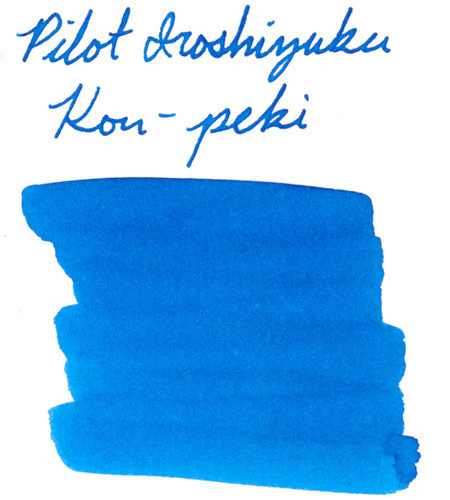 Low – There was hardly any ink left after the water was applied, so this ink doesn’t have much water resistance. Medium – I could see a difference between swab 1 & 2, but not much between swabs 2 & 3. Swab 3 definitely had the most sheen on it though. Easy – I was easily able to flush it out of my pen without much trouble! Medium – I wouldn’t say the ink had a ton of shading, but it wasn’t a completely solid color throughout, so there was a little bit of shading. 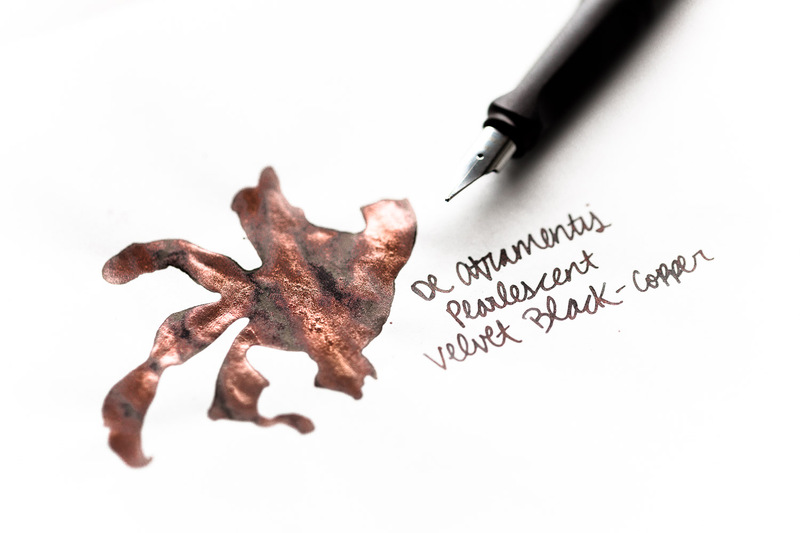 Wet – It was a really pleasurable ink to write with and flowed nicely. The box comes with both a 65ml bottle and a 15ml bottle of the ink. The little 15ml one is so cute! The presentation is great and they come in a nice box that fits the theme of the ink. 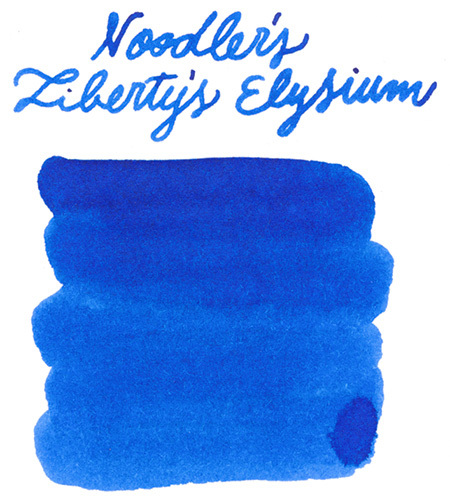 I love the color of this ink- it’s a good blue for most occasions, but it’s got some extra cheerfulness and brightness to it. It also has some great red sheen that I was able to see on the Tomoé River paper and when I layered swabs on top of each other on Rhodia paper. A winner in my books! 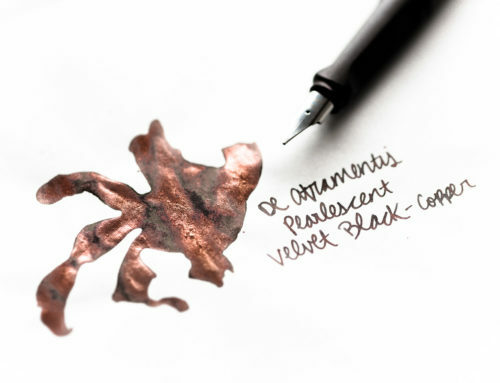 You can find a set of 65ml and 15ml bottles of Colorverse Supernova at GouletPens.com for $36.00 or a 2ml sample is also available for $2.00.